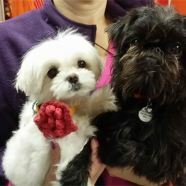 Join us for Yappy Hour, Every Tuesday at our daycare on 75th between 2nd and 3rd ave.Tuesdays, 7-8PM, no charge to join. Small paws must be accompanied by their owners. Good behavior and up- to – date shot records required.